The following information on milk thistle is from The Encyclopedia of Popular Herbs, Your Complete Guide to the Leading Medicinal Plants. The book was published by Prima Health (Copyright 2000). The authors are Robert S. McCaleb, Evelyn Leigh, and Krista Morien. Prickly thistles may not be as “approachable” as softer plants, but appearances can be deceiving. Not only does this group of plants contain no poisonous members, but many thistles have the ability to protect our livers against harmful substances, including poisons present in our daily environment. The thistle that stands out most in this regard is Milk Thistle. This remarkable plant has earned a worldwide reputation as an antioxidant and liver protectant that can even help repair and regenerate injured liver cells. As the word liver suggests, maintaining the health of this essential organ is key to the overall quality of life. The liver, the body’s second largest organ, processes nutrients, drugs, toxins, and any other substance entering the body through the intestines, lungs, or skin. Savvy Europeans have long recognized this, taking Milk Thistle extract as a daily form of health insurance against pollution, over-the-counter drugs such as acetaminophen, and even the self-inflicted damage of overindulgence in rich foods and alcohol. In Germany, Milk Thistle extracts accounted for over $180 million in herb product sales during 1998. Health practitioners also prescribe Milk Thistle to treat a variety of problems you might not normally connect with liver health, including poor digestion, female hormonal problems, constipation, mood disorders, hemorrhoids, varicose veins, atherosclerosis (hardening and narrowing of the arteries), and skin conditions such as psoriasis and acne. Today, regular use of Milk Thistle extract can be considered a modern necessity every bit as important as a healthful diet, exercise, rest, and the most common vitamin supplements. Milk thistle has been used to support liver health for more than 2,000 years. As early as A.D. 23, Pliny the Elder recommended a mixture of Milk Thistle juice and honey for improving digestion by stimulating the flow of bile. During the sixteenth century, the British herbalist Gerard called Milk Thistle “the best remedy that grows against all melancholy diseases.” Melancholy (what we might call depression today) gets its name from the Greek words for “black bile” and was historically treated with liver herbs as well as mood-enhancing plants. During the seventeenth century, British herbalist Nicholas Culpeper prescribed Milk Thistle seeds for jaundice (yellow discoloration of tissues due to excessive amounts of bile), gallstones, and obstructions of the liver and spleen. Milk thistle became popular in American medicine around the turn of the twentieth century, when the Eclectic physicians (a prominent group of American doctors who practiced at that time) adopted it as a treatment for varicose veins, menstrual problems, and liver and kidney ailments. The plant gradually fell out of favor later in the century—except in Germany, where herbs have always enjoyed widespread acceptance. During the 1970s and 1980s, German scientists began testing the plant to validate its many centuries of application as a liver herb. Today, Milk Thistle is a popular treatment in Germany for many liver problems, including hepatitis and cirrhosis. Intravenous silymarin (a complex of important Milk Thistle constituents) is also a life-saving emergency room treatment used throughout Europe in cases of poisoning. Like its cousin the globe artichoke (Cynara scolymus), Milk Thistle has a long history as a delicious and nutritious food. When boiled, young Milk Thistle flowerheads look and taste much like a savory artichoke. All parts of the plant are edible, including the roots and young stalks and leaves. To incorporate the benefits of Milk Thistle seeds into your daily diet, herbalist Christopher Hobbs suggests making a seasoning salt by soaking Milk Thistle seeds overnight, draining the water, grinding the seeds into a powder using a coffee grinder, lightly toasting them in the oven, and then mixing them with salt or other spices.1 Milk thistle seeds are high in protein and the essential fatty acid linoleic acid, a healthy fat that can help reduce chronic inflammation, balance the female menstrual cycle, and improve heart health. Herbalist Michael Moore describes Milk Thistle as “a bulldog with a spiked collar” because of the plant’s prickly appearance. The plant grows to heights of 5 to 10 feet and is dangerous looking-right down to the sharp spines on its reddish purple flowers. Milk thistle’s common name comes from the white markings on the leaves, its milky white sap, and its traditional use by nursing mothers to increase lactation. The humble plant is closely related to other common thistles, including blessed thistle (Cnicus benedictus), which has similar medicinal properties but is not as well researched. Milk thistle is native to Europe, southern Russia, Asia, and North Africa. When the English colonists brought it to North America, the plant quickly became a common weed in many parts of the United States. Today, large fields of Milk Thistle are cultivated in Texas and Argentina, with an eye toward developing cultivation methods that yield the highest amounts of silymarin. If you decide to grow Milk Thistle in your own garden, watch out! The plant lives up to its reputation as a weed, spreading easily on its many parachute-like seeds. Milk thistle is an annual or biennial and favors sunny locations and well-drained soils, though it generally tolerates harsher conditions. The seeds can be harvested in July or August after the flowers have blossomed. One of the best-studied herbs, Milk Thistle has been the subject of more than 300 clinical and laboratory trials. In cases of acute hepatitis, Milk Thistle extract helps people recover more quickly and prevents the condition from becoming chronic. Improvement is often apparent within 5 days, and even greater benefits are seen after 3 weeks. Milk thistle is also useful for treating chronic hepatitis when taken over a period of 3 to 12 months. 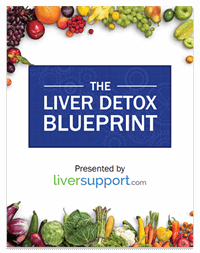 Studies show that it can help reverse liver cell damage, normalize elevated levels of liver enzymes, and improve symptoms such as abdominal discomfort, decreased appetite, and fatigue. Standard therapy for hepatitis usually involves the drug alpha-interferon, which has many unpleasant side effects, including flu-like symptoms, fatigue, and irritability. Research has also demonstrated that Milk Thistle can slow the advancement of cirrhosis (chronic liver damage) and increase life span in people with cirrhosis, particularly alcoholics. Another area of current research is Milk Thistle’s possible anti-allergenic effects. In vitro research indicates that silymarin and silybin may help prevent allergic reactions by inhibiting the release of histamine from mast cells in animals and from blood basophils in humans. Silymarin was just as effective as the bile acid ursodeoxycholic acid (UDCA) in improving symptoms of active cirrhosis in a randomized, controlled, crossover study involving 21 people. During the 6-month trial, subjects took either 420 mg of silymarin or 600 mg of UDCA daily. In the UDCA group, liver function improved significantly, measured as a 30 percent drop in serum aspartate amino transferase (AST) levels and a 22 percent drop in alanine amino transferase (ALT) levels. Serum levels of gamma-glutarnyltranspeptidase (y-GT) also demonstrated a beneficial decline. Those in the silymarin group had a 15 percent drop in AST and a 23 percent decline in ALT levels, with no change in y-GT levels. During the second half of the study, 20 of the 21 original participants took either combined treatment (UDCA and silymarin) or no treatment. Combination therapy caused a beneficial decrease in liver enzymes over a 12-month period. On the other hand, those who received no treatment experienced a rise in mean levels of serum transminases and y-GT, similar to pretreatment values. No side effects were reported for UDCA or silymarin. When damage has already been done, Milk Thistle aids the liver in repairing injured cells and generating new ones. It does this by stimulating protein synthesis through the enzyme RNA polymerase I. Protein is a basic building block of cell walls, cell structures, and enzymes that are vital to all body processes. Recent evidence (molecular modeling) suggests that the constituent silybin may be responsible for stimulating protein synthesis, because it imitates a steroid hormone. Silybin increases protein synthesis by up to 25 to 30 percent, compared with controls.9 Milk thistle’s regenerative ability is essential for treating serious conditions such as chronic hepatitis, cirrhosis, and toxic fatty deposits in the liver. Milk thistle has been safely used as a food herb and medicine for centuries. Contraindications: Milk thistle is considered safe for use during pregnancy and has a long history of use by nursing women.16 People with diabetes who are taking Milk Thistle should carefully monitor their blood glucose and may require reduction in standard antihyperglycemic agents. Milk thistle is typically standardized to contain 70 to 80 percent silymarin. 1. Hobbs C. Milk Thistle: The Liver Herb. Capitola, CA: Botanica Press, 1992. 2. Blumenthal M, Busse W Goldberg A, eds.The Complete German Commission E Monographs. Austin, TX: American Botanical Council; Boston: Integrative Medical Communications, 1998. 3. Nassuato G, Iemmolo RM, Strazzabosco M, et al. Effect of silybinin on biliary lipid composition: experimental and clinical study. Journal of Hepatology 1991; 12(3): 290-295. 4. Katiyar SK, Korman NJ, Mukhtar H, et al. Protective effects of silymarin against photocarcinogenesis in a mouse skin model. Journal of the National Cancer Institute 1997; 89(8): 556-566. 5. Miadonna A, Tedeschi A, Leggieri E, et al. Effects of silybin on histamine release from human basophil leucocytes. British Journal of Clinical Pharmacology 1987; 24: 747-752. 6. Palasciano G, Portincasa P, Palmieri V, et al. The effect of silymarin on plasma levels of malon-dialdehyde in patients receiving long-term treatment with psychotropic drugs. Current Therapeutic Research 1994,55(5): 5 37-545. 7. Lirussi F, Okolicsanyi L. Cytoprotection in the nineties: experience with ursodeoxycholic acid and silymarin in chronic liver disease. Acta Physiologica Hungarica 1992; 80(1-4): 363-367. 8. Ferenci P, Dragosics B, Dittrich H, et al. Randomized controlled trial of silymarin treatment in patients with cirrhosis of the liver. Journal of Hepatology 1989; 9: 105-113. 9. Sonnenbichler J, Sormenbichler I, Scalera F. Influence of the flavonolignan silybinin of Milk Thistle on hepatocytes and kidney cells. In: Lawson L, Bauer R, eds. Phytomedicines of Europe: Chemistry and Biological Activity. Washington, DC: American Chemical Society, 1998. 10. Farkas L, Gabor M, Kallay, F, eds. Flavonoids from natural red resins. Proceedings of the International Biqflavonoid Symposium, September 6-9, 1981. Amsterdam, Oxford, and New York: Elsevier Scientific, 1982. 11. Hikino H, Kiso Y, Wagner H, et al. Anti-hepatotoxic actions of flavonolignans from Silybum marianum fruits. Planta Medica 1984; 50:248-250. 12. Valenzuela A, Aspillaga M, Vial S, et al. Selectivity of silymarin on the increase of the glutathione content in different tissues of the rat. Planta Medica 1989; 55: 420-422. 13. Muzes G, Deak GY, Lang 1, et al. Effect of the bioflavonoid silymarin on the in vitro activity and expression of superoxide dismutase (SOD) enzyme. Acta Physiologica Hungarica 1991; 78(l): 3-9. 14. Brown D. Phytotherapy review and commentary: silymarin educational monograph. Townsend Letter for Doctors November 1994;1282-1285. 15. Robbers JE, Tyler VE. Tyler`s Herbs of Choice: The Therapeutic Use of Phytomedicinals. New York and London: The Haworth Press, 1999. 16. McGuffin M, Hobbs C, Upton R, et al., eds. American Herbal Products Association Botanical Safety Handbook. Boca Raton, FL: CRC Press, 1997. 17. Velussi M, Cernigoi AM, Viezzoli L, et al. Silymarin reduces hyperinsulinemia, malondialdehyde levels, and daily insulin need in cirrhotic diabetic patients. Current Therapeutic Research 1993; 53 (5): 533-545.